The SEED OIL ARKOCAPS SQUASH, dietary supplement for men who suffer from prostate disorders to help them find urinary comfort. The Squash, from the Americas, which is a vegetable seeds extracted oil with decongestant. Linoleic acid, which is one of two "good" fats that we do not naturally synthesize. These assets inhibit inflammation in prostate tissue that causes urinary problems. 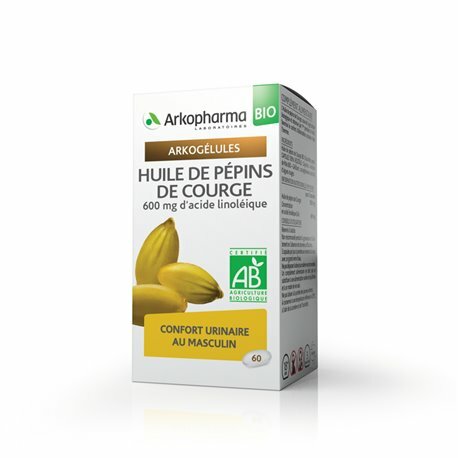 If you suffer from urinary problems due to a benign prostatic hyperplasia or enlarged prostate, ARKOCAPS Squash Seed Oil help to solve these problems.